Truth or Dare is pleased to announce that Hood Richardson will become a guest contributor. 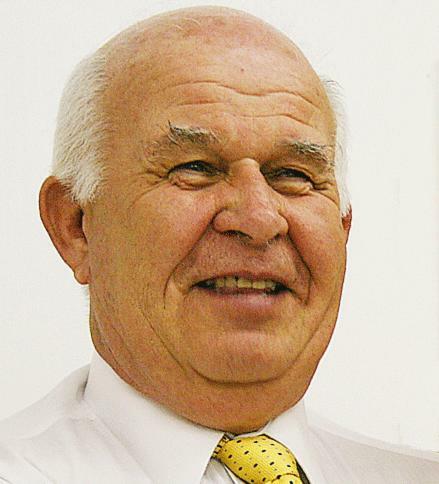 Hood is serving his fourth term as a Beaufort County Commissioner. He owns and operates and engineering and survey concern in Washington, NC and is a dedicated conservative Republican. We are pleased to have Hood join our pages. All conservatives got a surprise when several self certified conservative Republicans suddenly flipped to the liberal side. Ashley Woolard and Bill Tarpenning, announced they are actively working as paid political managers for the liberal Arthur Williams who demanded a run off with Mattie Lawson, the conservative Republican. Lawson beat both Williams and Jeremy Adams but did not get enough of the vote to avoid a run off. Jeremy Adams, after representing himself as a Ron Paul conservative endorsed Williams. Politically Williams is as far the left as you can get and a Ron Paul conservative is as far the right as you can get. It all looks like sour grapes, if Adams is what he said he is? Rumors have been around for some time that Woolard, Tarpenning and Gregg Dority recruited Williams. Dare County has elected its first Republican Sheriff. Doug Doughtie easily defeated incumbent Rodney Midgett 56/44. Midgett carried Manteo, Wanchese, Nags Head and East Lake while Doughtie carried Duck, Southern Shores, Kitty Hawk, Kill Devil Hills, Colington, Manns Harbor, Stumpy Point and all precincts south of the Bonner Bridge. Marc Basnight and Hood Richardson squared off in Elizabeth City last week in a forum sponsored by the Elizabeth City Chamber of Commerce. This was the first, and possibly the only, public debate between the two candidates. Their divergent views on the economy, corruption, illegal immigrants, healthcare and the environment were on full display. It was a Basnight friendly audience and the Senator tried to use that to his advantage. The cool reception that Richardson received, though, did not deter him from speaking frankly. The result is that voters will have a hard time coming away undecided after reading and hearing these exchanges. While no video is available, the exchange was captured on audio and is linked below the fold. The conventional wisdom in Raleigh is that the Republicans will win the General Assembly in November. While there are still a few House races that could tilt the balance one way or the other, the consensus is that the Senate will fall to the GOP. The Senate has 50 seats. The balance of power right now in that chamber is 30 Democrats to 20 Republicans. Republicans need 6 seats to take control. Based on recent polling, the GOP will win between six and ten seats. The candidates for NC Senate District 1 engaged in an impromptu debate last week at the offices of the Washington Daily News. Democrat Senator Marc Basnight, the twelve-term incumbent and President Pro Tem of the Senate accepted the debate challenge posed by his opponent, Republican Hood Richardson, the four-term Beaufort County Commissioner. The Washington Daily news is posting the debate in a series of three installments. In the first installment, the candidates showed their differences on economic issues.